I ‘ve been really lucky with thrifting lately and wanted to show you a few things that I’ve gotten that have to do with the garden. There are several ways to save money on gardening and one of them is to keep an eye out for things you can use at the thrift store. 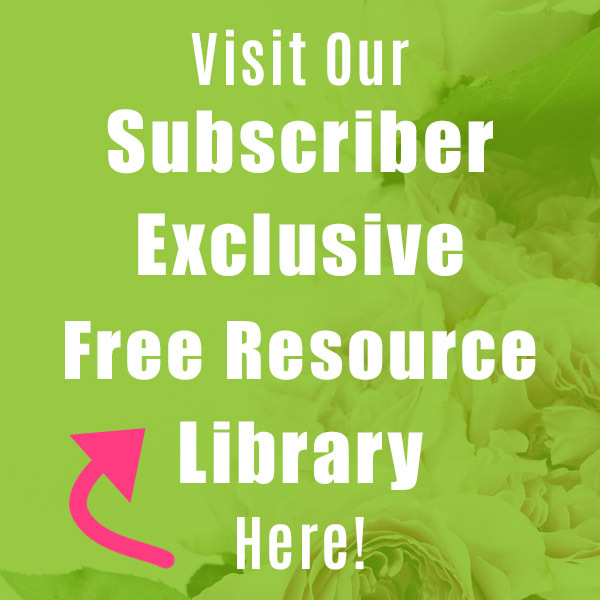 Check out these frugal gardening finds! This Smith & Hawken Bird Attracting Seed Kit was $2.92 at Goodwill. I know they sell them at Target but I don’t know what it retails for. Anyway, I’m not going to use it as a planter. 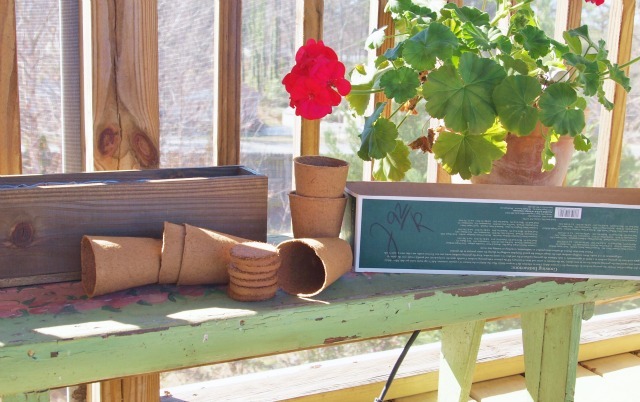 I have a craft project in mind for the wooden crate and I’ll use the peat pots and cocopeat disks for starting some veggie seeds this spring. The 2 seed packets (6 are sold with this set apparently) I’ll direct sow in spring and see what happens. I stopped at the thriftstore (in another town) before heading to Lowe’s to buy some clearanced spring bulbs and found this long handled bulb planter for $3.93! It looks brand new! They retail for anywhere from $20-90. Isn’t that weird that I would find a bulb planter on the day I was going to buy a bunch of bulbs!! Wouldn’t you know it, Lowe’s was all out of their clearanced bulbs so I headed back home to Home Depot where they had a ton of bulbs. Know why they still had a ton of bulbs? Because they never mark down their stuff correctly! All the bulb displays still had the full retail price on them. I took one up to a register and they scanned at 50% off. 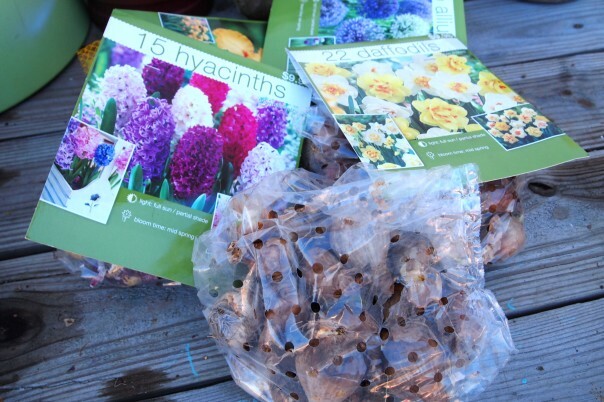 So I bought a few bags of daffodils, hyacinths and alliums. I’ll go back in another week or so and see if they’re 75% off. I spent several hours outside happily working in the yard since today was a gorgeous, sunny day. It was so nice to be outdoors! I used my bulb planter and planted all of the bulbs except the alliums. The bulb planter worked great. I’ve never had one before. I usually just dig a big hole and throw a bunch of bulbs in at once. When to plant spring flowering bulbs depends on where you are. Our ground isn’t frozen yet so I can still dig a hole. 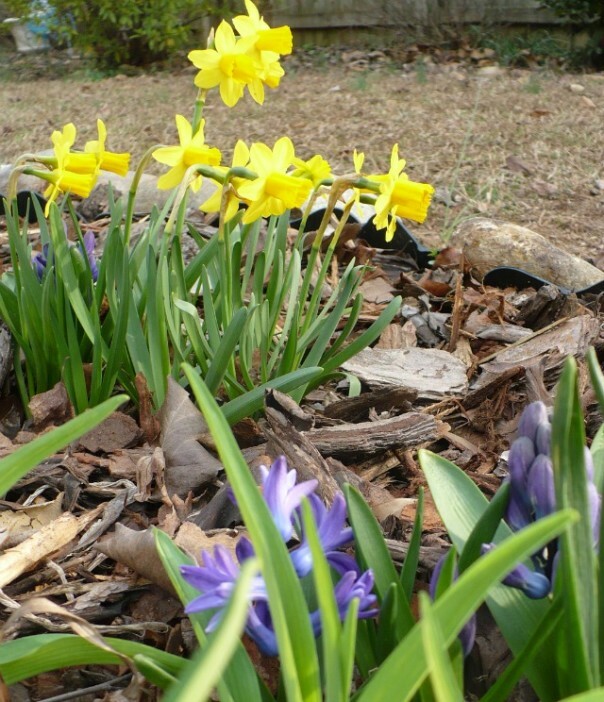 We have at least 2 more months of cold weather before spring so the bulbs will get the cooling period that they need. This is the way I always do it because I refuse to pay full price for daffodils! The only thing I’ve noticed is that they bloom later than the bulbs that have been in the ground for a while, which is fine with me. 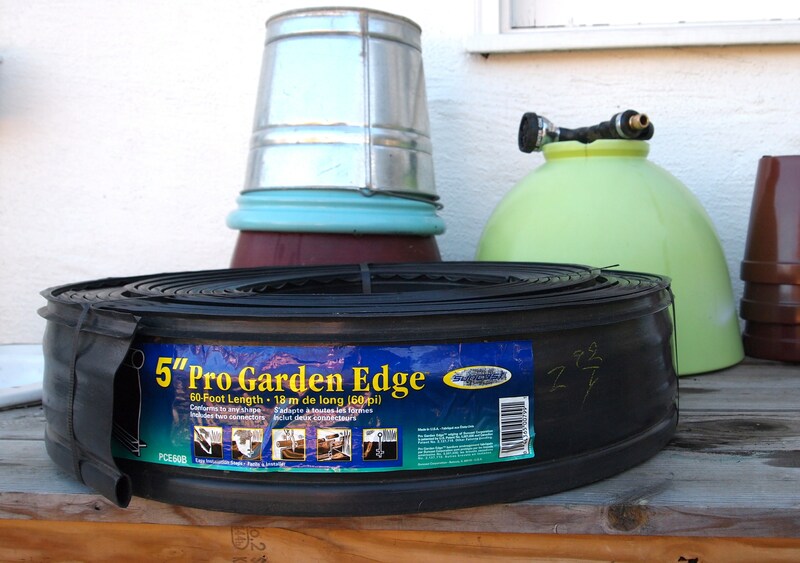 My last find is 60 feet of Pro Garden Edging for $2.92! One of my 2013 garden projects is to enlarge and change the shape of the cottage garden in front of my vegetable garden (that’s where I’m planting the alliums) and I wanted some edging for it. And now I have some! I found all these items within the last week! Now is the time to go to the thrift store! People are decluttering/organizing and donating stuff they can’t use/don’t want. Have you been thrifting lately? What did you find? I haven’t been thrifting – but at a consignment store I found a few Limoge tea cups! Lovely and older. That bulb planter is great! You great some great deals! No thrifting here lately, but did accomplish a bit around the house. Should have got more done. That should be “You got” not you great! Geesh! 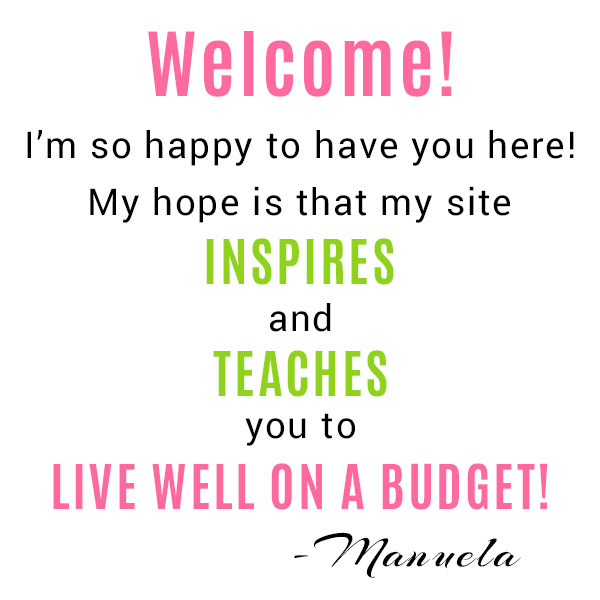 You found some great things, Manuela! I guess the bulb planting was meant to be done! : ) I have a box of stuff to bring to Goodwill so I will go in and look around while I’m there. I think thrifting will be the most I’ll do as far as shopping this year! I’m really going to try and be good. Manuela, you’re the best! Thifting is about the only shopping that fits into my budget these days and you’ve inspired me. Thank you for sharing and congrats on your great finds! 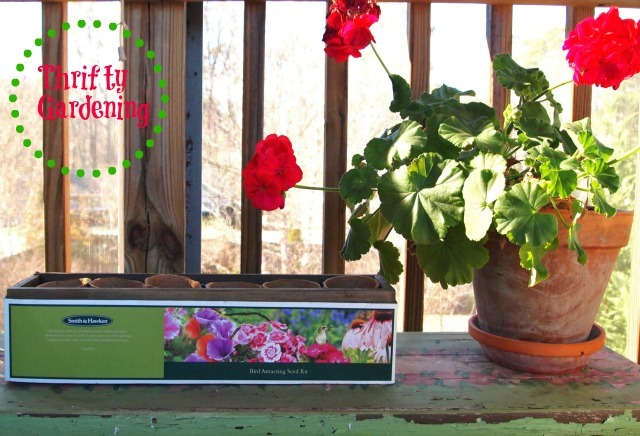 You found some great deals to start your spring planting. I didn’t plant bulbs for this spring. We have to plant bulbs in the fall before the ground freezes and there is over 2 feet of snow down now. No spring for us until April at least! Great tips! I’m decluttering, but I never really thought about Everyone decluttering right now. Makes sense though. I go to Home Depot like every day so tomorrow I’ll see if they have any bulbs left. Thanks! Wow, you did find some amazing deals! Great finds! I haven’t been thrifting lately but I want to:) Enjoy your evening dear friend! HUGS! Oh I hadn’t thought about people decluttering in January, but I’m sure that it’s true. Must put the thrift store on my list of places to visit, though I swear that I never find anything. If you went in there right after me, you’d probably find lots of things. My eyes don’t see what your eyes do. Oh what a lovely spring garden you’ll have! Do you naturalize with your bulb plantings along the fence and by the trees? I love that way of planting bulbs. Wish I’d done it! I need one of those fancy long-handled bulb hole diggers. That’s got to be a lot easier. I’m sure people will be decluttering for the next few months – what with New Year’s resolutions and getting organized. Also our weather has been so mild this winter that it hasn’t prevented people from going out and doing things. I know you have snow (but you all are used to it) so I don’t know if people are inclined to take things to thrift stores in your area or maybe they hold on to them and have garage sales in the spring? 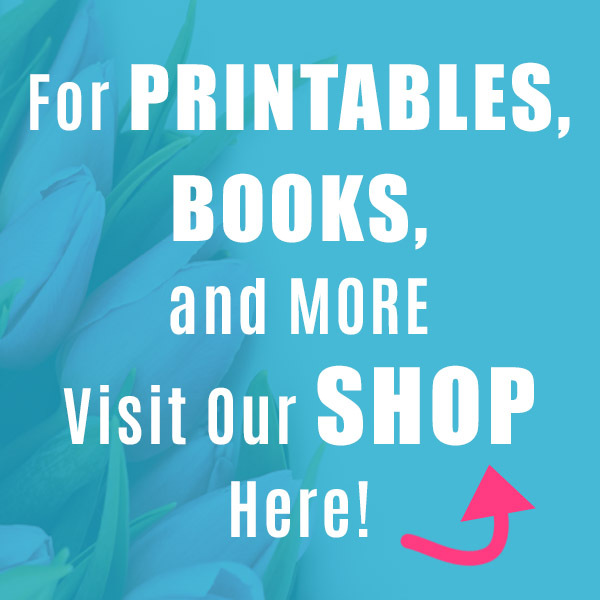 Great finds and bargains! You are so lucky that it’s still warm enough in your area where you can still be out working your yard. 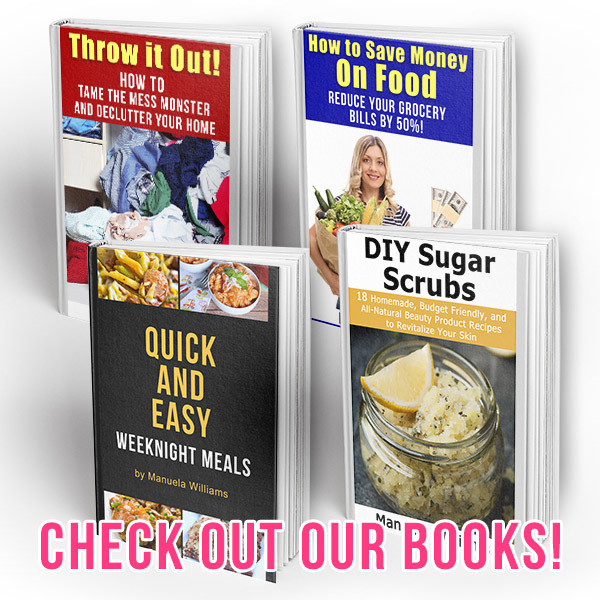 I’ve only been into a couple of thrift stores lately and didn’t find anything too exciting – just a cookbook and a few tchotckes. Well keep checking those thrift stores. We dropped off some donations Saturday and the line to do so was 5 cars deep! I’m sure people will be declutter for the next few months. 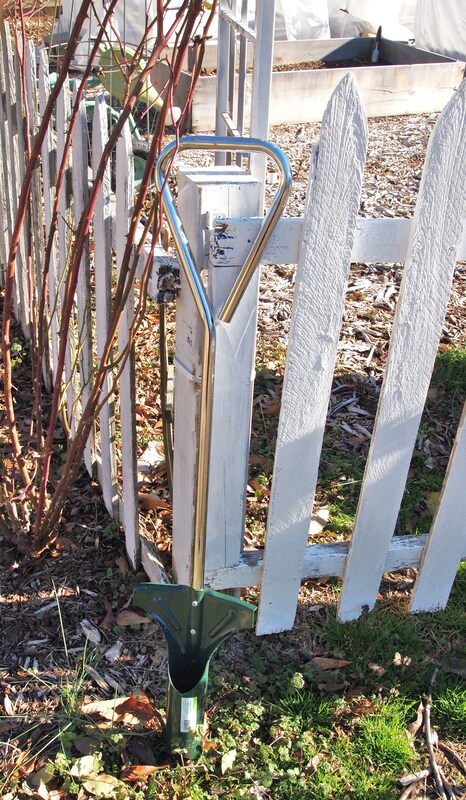 Plus if it’s really cold where you are that might keep people from dragging stuff there. It’s been pretty temperate here this winter. Love your springtime/flowery finds! It’s nice to look forward to a season of growing things while still working on cozy craft indoors. My thrift store had a Black Friday sale that lasted the entire month of December–50% off their already reasonable prices. My stash of Christmas decor expanded accordingly! Best of all, a taller-than-normal glass candlestick for my collection. Black Friday at a thrift store! Amazing! Mine would have been such a mob scene if they did that. They do have a color of the day that is 50% off. Sometimes I luck out and get that discount. Great deal! I love spring bulbs, there my favorite! Spring bulbs are my favorite too! I really haven’t had much luck with tulips, which I love. They do well the first year and that’s about it. I want to go to YOUR thrift stores!! LOL! My local Goodwill really is very good. Even better than some in the “fancy” areas. I think it’s because we have Target, TJX, Marshalls etc close by and they donate goods. I wish you lived close by and we could go together. A day of thrifting with you would be so much fun! Ack! You surely did beat me with 5 cents a bag!! Actually 50% off is more than I normally pay but I missed Wal-Mart and Lowe’s marked down bulbs. They don’t last long! LOL!!! I’m laughing at myself because we’re had snow on the ground so long, I forgot I had planted a couple hundred tulips in the fall!!! I’ll enjoy your photos until then! A couple of hundred!! That is going to look so amazing! 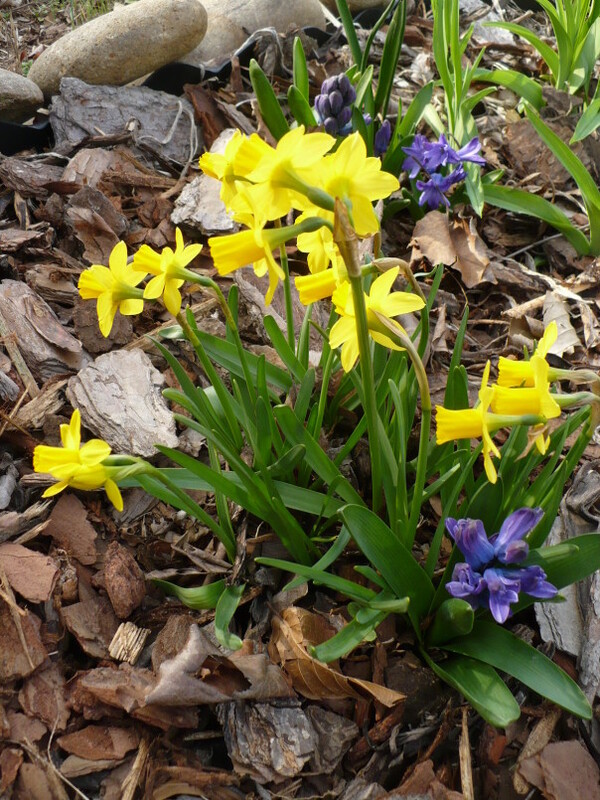 I think I plant about 50-75 daffodils a year and a few of the other little spring flowers. I stopped planting tulips even though I love them. They’re really more of a perennial here. They look great the first year and they peter out. Which is a shame because there are so many beautiful tulips I’d love to grow. wow! you found some terrific buys! And you always have the loveliest garden! What great finds! I am hint to get out and do a little cleaning and planting here this week since we are supposed to have a little warm-up. Your gardens are always just beautiful! And I’m sure they’ll be even more so this year! You found some awesome deals! I cannot wait to see photos of the bulbs in bloom! Hope you can join us for all of these fun hops! What great finds! I sure like the long handled bulb planter. What a clever and helpful idea. Before we know it Sprin will be showing it’s pretty face. No baby yet…Mommy is about to pop! I have been to one thrift store and didn’t find anything. You certainly lucked out, though. Your garden is going to be lovely come spring!